For no logical reason it seems to be carrot cake season. I was craving this delicious cake the other day so I baked it for the first time in ages. In Sydney last weekend my friends ordered carrot and walnut loaf at a cafe for brunch then just now on Smitten kitchen, a favourite blog of mine, Deb shared a recipe for Carrot Cake with Cider and Olive Oil Cake http://smittenkitchen.com/blog/2014/10/carrot-cake-with-cider-and-olive-oil/#more-12915. This made me realise I had never posted this favourite recipe on here, I always seem to forget the old favourites. My mum cut this out of a newspaper many year ago, I can still picture the clipping, and it has been a family favourite ever since. This makes a great big rectangular cake, but I am sure it would work as a loaf. It is very moist and dairy free as it is made with oil not butter. I like it iced with a thick layer of cream cheese icing but if you want it to be dairy free you could make a lemon glaze icing. Sometimes I leave the nuts out for the kids but I miss them, I might try sprinkling them over the icing on half the cake next time. Preheat the oven to 180C. Line and grease a large cake tin, I use a 22 by 35 cm rectangular tin. Place all the ingredients in the bowl of an electric mixer and beat for 5 minutes or just mix thoroughly by hand. Pour into tin. Bake at 180 C for 45 minutes. Beat the cream cheese and butter with an electric mixer for 5 minutes or until smooth. Add icing sugar and lemon juice and mix until well combined. Our local Japanese restaurant has okonomiyaki or Japanese pancakes on the menu. We have been curious about them but can never quite go past the sushi and order one so I looked up how to make them at home. They were delicious and my husband told me to add them to the favourites list which is the ultimate compliment in our house! I thought the kids might like them too as long as I let them choose their own vegetable combinations, and it turned out they were a hit! I chopped all the ingredients and layed them out in plastic bowls on the bench where everyone could choose their own. I then poured the batter over each individual bowl of vegetables and cooked up each pancake in a frypan (I had a few frypans on the go to speed things up). One of my daughters picked her ingredients and just wanted to eat them not in a pancake so I just fried up a bit of the pork for her. You can buy okonomi sauce at Asian supermarkets. There a lots of recipes on the web trying to imitate it, apparently none of them quite match it, but I enjoyed the version I made although it was a bit runny. My version had quite a few Japanese ingredients that I generally have in the cupboard. If you don't, just google a simpler version based on ketchup, soy and worcestershire. I looked at lots of recipes but based mine on this SBS recipe, I didn't bother with the crispy noodle cakes this time but did include the instructions below. There are several websites devoted entirely to Okonomiyaki recipes, such as this one. Okonomi literally means "what you like" so feel free to add whatever fillings and toppings you like. In a large bowl combine the flour, eggs, dashi powder and water and whisk just until smooth. The batter should be thin but not watery. Combine the cabbage, spring onions, carrot and pickled ginger. Season to taste, add the batter and mix until well combined. If you are making these for picky eaters you can make up individual bowls of vegetables to each persons taste and divide the batter between them. Heat two large non-stick frying pans over medium-high heat, add a small amount of oil. Add a quarter of the cabbage mixture to each frying pans. Shape into rounds then, using a spatula, flatten each round, pushing any escaping mixture back against the edges. Cook for 4 minutes. Put two prawns on each pancakes and push gently into batter. Cover the prawns with the pork belly. Carefully flip the pancakes over and cook for 3 minutes. Flip the pancake again, reduce the heat to medium and cook for a further 3–4 minutes until cooked through to the centre. Cover generously with okonomiyaki sauce and Japanese mayonaisse. Top with noodle cake if using, then nori, extra spring onions and pickled ginger. Heat 1 tbsp vegetable oil in a wok over high heat. Add a quarter of the noodles, toss to coat in the oil then shape the noodles into a round the same size as the pancake. Allow to cook, undisturbed, for 1½–2 minutes until the underside is crisp. Carefully flip the noodle cake over and cook the other side for 1½–2 minutes until golden and crisp. Remove from the wok and drain on paper towel. Repeat with the remaining noodles. You could use this crumble topping on any fruit combination that takes your fancy, I have suggested two twists to the traditional apple. Place the flour, baking powder and sugar in a large bowl (as large as you can find if you are going to let the kids help and if you have a 2 year helping like I did I would also place it on a clean tray so you can rescue the spillage). Add the butter and rub it in to the flour with your finger tips to make a crumbly topping, stop before you make dough. Add the oats and rub through. Place the apples, sugar and a splash of water in a saucepan and simmer on low for 5 minutes to soften. Place in baking dish and add passionfruit or berries if using. Sprinkle crumble mix over the top. Bake at 180 for about 25 minutes until golden and bubbling. I love these delicious and delicate biscuits, the kids not so much, isn't that a shame. They are flavoured with rosewater which gives them a wonderful smell. I love it so much I should find other recipes that use it. Hope you enjoy them too! Place the butter and sugar in a bowl and beat until pale and creamy. Add the egg and mix until combined. Add the rosewater, and stir until smooth. Drain the pistachios well then add to the batter with the flour and baking powder. Fold through until a stiff dough forms. Sift the extra flour over a clean dry surface, and knead the dough lightly for 30 seconds. Divide the dough in half and roll each into a log, roughly 5 cm (2 inches) in diameter. Wrap each log in plastic wrap and refrigerate for 30 minutes. Remove the dough logs from the refrigerator, and slice into 5 mm rounds. Place the biscuits 2 cm apart on a baking tray lined with baking paper. Bake the biscuits for 10 to 12 minutes, or until lightly golden. Remove from the oven and leave to cool on a wire rack. I came across a collection of milo recipes on iVillage the other day and thought the kids might like them. The milo slice recipe on The Organised Housewife site looked so easy I even suggested to my 7 year old that she might like to make it and she did. I cut and melted the butter and got all the ingredients out for her but she was able to do the rest of it herself. She was so proud of herself she wanted to do another batch the next day so there would be enough to take when visiting her grandparents on the weekend. The result was a delicious moist slice that she loved and that has lasted for well over in a week in the fridge (only because the house is full of baked goods at the moment - gingerbread men, crumble, so many temptations). I have written the recipe out below with a 7 year old audience in mind. Turn the oven on to 180 C. Grease and line a slice tin. Sift the flours into a large bowl. Add the milo, choc chips, oats, coconut and sugar and mix. Crack the egg into a bowl and mix with a fork. Pour the egg and the melted butter into the large bowl and mix well. Scrape the mixture into the tin and spread and flatten. I came home at lunch time today and was absolutely starving as usual but thought that I really should eat something other that toast on which I have been subsisting on for the past 3 months. I am pregnant with baby number four and although the worst of the morning sickness is over I still need to eat every few hours, with turkish bread toast being my favourite choice. 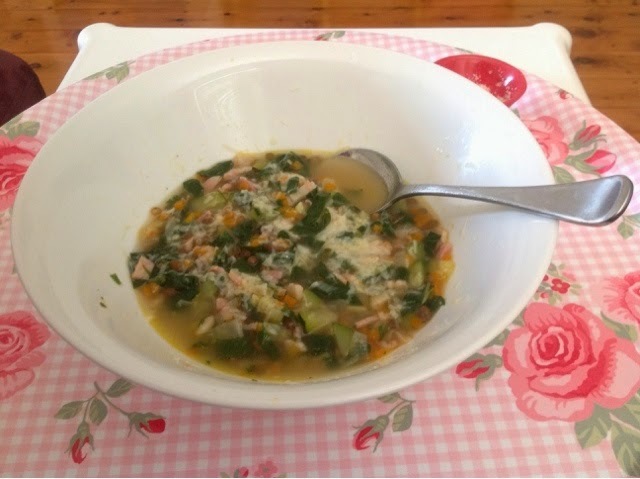 But even Vegemite doesn't contain all the vitamins a girl needs to live so today I held out my hunger a little longer and cooked up some vegetable soup with bacon and lentils, it was delicious. I have got into the habit of making my own chicken stock regularly thanks to the wonderful Smitten Kitchen blog. She makes her Perfect, uncluttered chicken stock in the slow cooker using only chicken wings, onion, garlic and water and it tastes wonderful! After boiling pots of stock dry several times in the past, this approach works for me and I end up with 3 litres of stock for minimal effort and I don't need to worry too much about the timing, just set the slow cooker to low if you are going out for awhile. In a heavy based saucepan sauté the bacon in the olive oil over medium heat until slightly browned. Turn down the heat to low and add the onion and carrot. When softened add the garlic and thyme and stir until fragrant. Add the stock, lentils, parmesan rind and simmer until the dried lentils are tender (skip this step if using tinned lentils). Add the zucchini and silverbeet and simmer until the vegies are tender. Stir though parsley and serve. Sprinkle with parmesan to taste. I didn't grow up eating tinned tuna and didn't think I really liked it until a friend cooked this for us after one of my babies was born. Now it is a regular pantry staple dish. I cooked it the other night and couldn't believe I hadn't blogged it when I was checking the recipe so here it is. 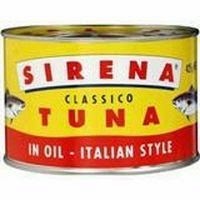 I find buying quality tuna makes a big difference, I like Serena. I enjoy chilli flakes in this but I am cooking for the kids I leave them out and just sprinkle into my bowl. Pour the olive oil into a large frying pan or heavy based pan, add the onion and garlic and cook over medium to low heat until softened. 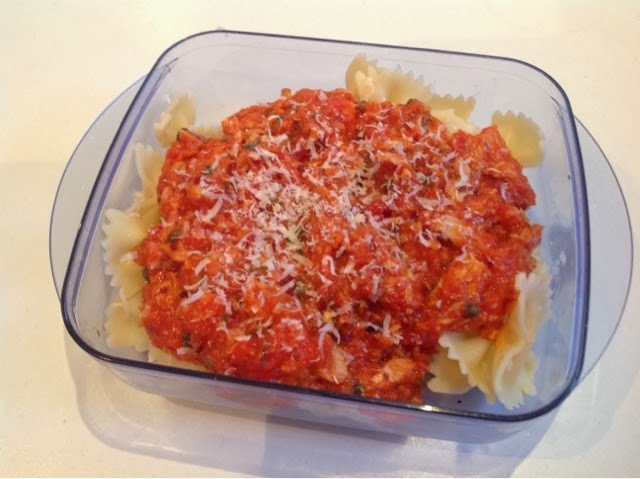 Add 800g tin of tomatoes and simmer for about 10 minutes or however long you have while you cook the pasta. If you simmer for quite awhile you might like to add some water. Blend the sauce, if I have cooked it in a large pan I bamix in the saucepan but if it is in a frypan I pour it into a heat proof jug or bowl and bamix. Return to the pan with a large tin of tuna flaked, capers, chilli flakes if using and maybe some herbs. Serve on pasta with a sprinkling of parmesan. These days I have a repertoire of banana cake recipes. The first one is the old faithful, my Mums recipe cut from the pages a huge old recipe book, the Australian and New Zealand Recipe Encyclopedia or something like that. I can remember making it with her countless times as a child, I loved adding the bicarb to the warm milk and seeing it fizz. It is a great cake, delicious fresh for the first day or two then its great toasted with butter. If I know we are not going to get through the whole cake, I slice and freeze it, then I can just pop the frozen slices in the toaster for a quick snack. The second recipe I discovered after I started this blogging thing on Paula's lovely blog Pod and Three Peas. I have mentioned her blog here before and cook from it regularly, she shares so many great recipes. So the next cake is hers, similar to my first one, but with the addition of sour cream. I have come to love sour cream cakes, they seem to stay fresh for ages. So this cake is a good one when you want it to last the week for lunch boxes and morning munchies. On the topic of sour cream cakes, Nigella has a good chocolate one and I love the lemon one also from Pod and Three Peas. I also want to try Paula's new version of a banana sour cream cake with yummy sounding brown butter icing. Finally the latest addition to my repertoire is my own innovation, the dairy free banana cake. I created this so that my youngest daughter, who is dairy intolerant, could enjoy banana cake. At almost two, she has recently learnt the word "cake" and can't be left out of anything! This cake has the benefit of being a quick mix cake, I just mix it up by hand in one bowl. Its a lovely moist cake, I enjoy it and don't miss the dairy. Preheat oven to 180C. Grease and line a loaf tin or deep 20 cm round tin. Cream butter and sugar until light, white and fluffy. Add beaten eggs, gradually, beating well after each addition. Mash the bananas, I put them on a plate and use a fork, and beat into cake mixture. Combine warm milk and bicarb, mix into cake mixture. Sift flour, baking powder and salt (if you can be bothered, I usually can't) and fold into mixture. Spread into prepared tin. Bake at 180C for 40 - 45 minutes. Leave plain or spread with icing, see recipes below. Preheat oven to 180. Grease and line loaf tin. Cream butter and brown sugar till pale, add eggs one at a time and combine. Sift in flour and baking soda, stir, add in banana, sour cream and milk stir till combined. Pop in oven for 50 - 60 minutes til skewer comes out clean. Cool and ice. In a large bowl, whisk together the oil, sugar and eggs until combined. Mash the bananas, I put them on a plate and use a fork, and mix in. Sift flour, baking powder, bicarb and salt (if you can be bothered, I usually can't) and fold into mixture. Spread into prepared tin. These are my two favourites. I also want to try the brown butter icing here. Place the icing sugar in a medium bowl and add sufficient juice to make a thick paste. Spread on the cake. Beat the cream cheese with an electric beater for a few minutes until smooth. Add butter and beat again until smooth. Add icing sugar and lemon juice and mix fro 30 seconds until combined. We have had a breakthrough this winter, the kids now like soup, I would go as far as saying they love soup! Even Willa, who is only 1 1/2, can feed herself a bowl full. At first I thought it was just pumpkin soup so stuck to that for a few weeks then I ventured into pea and ham and they ate that too. Then I just threw in all the vegies I had and made a sweet potato and random vegetable soup and they even loved that, in fact they requested it for the next few nights in favour of whatever else I had made. Imagine if I served them up a bowl of boiled sweet potato, zucchini, cauliflower and broccoli; there is no way they would touch it but in soup form they are going back for seconds. I have to admit that sour cream and crispy bacon bits are a pretty popular addition. This week we had minestrone. My wonderful husband had it ready when I got home from 3 days away. We weren't sure how the kids would go with soup with chunky vegetables, so we just pureed theirs, adding some cooked pasta afterwards. Again it was a hit with them and me. This is probably my favourite soup. You can make it with whatever vegies you have on hand, I have included my favourites in the recipe. My Mum used to include a small piece of stewing beef in the soup which she would shred into the soup before serving, I prefer the addition of chorizo but you might like to try this. Heat a drop of oil in large saucepan or stockpot. Fry chorizo until golden, turning to cook all sides, set aside. Heat remaining oil, cook onion, leek, celery, carrot, garlic, herbs and bacon over low heat until soft, at least 10 minutes. Turn up the heat and add red wine and allow to sizzle. Add stock, tomatoes, parmesan, zucchini and cauliflower and cook until vegetables are almost cooked. Add silverbeet and pasta and cook until pasta is done. 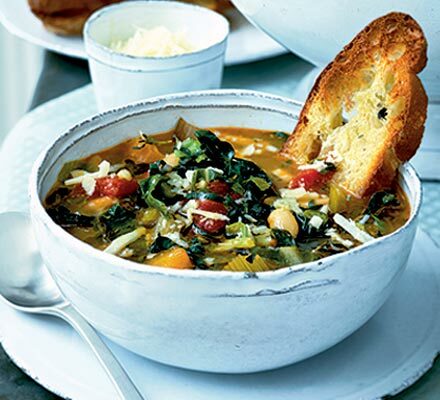 Serve with basil and parmesan. and buttered toast for dipping. With our bountiful crop of tomatoes this year I made a barbecue sauce. I couldn't find a recipe that I liked so I looked at about 10 and made up my own. Most of the recipes were based on bottled ketchup, not quite sure if this qualifies as making your own sauce and it wasn't what I had in mind. I started with a large colander full of my tomatoes and added a whole range of spices, sugar, herbs and other flavourings. The sauce is great! it has a slight spicy kick so if you want to share it with your kids leave out the chilli (we are quite happy to be selfish and keep it to ourselves). We eat it on egg and bacon rolls, lamb steaks, chicken burritos, pulled pork... Know I think about it I don't think I made enough. In a large heavy based pan sauté the onion, garlic and chilli in the oil until soft. Add dry spices and continue to fry for about a minute, until fragrant. 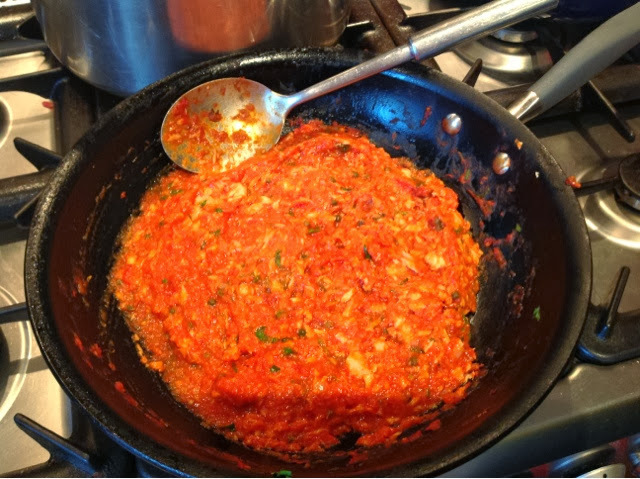 Add the remaining ingredients including the tomatoes and stir over heat until the sugar is dissolved then simmer for an hour or two until thickened. Puree in your best pureeing appliance. I am a big fan of the stick blender but this is a time to pull out the blender from the cupboard and wear the washing up. Puree as well as you can then return to the pan through a sieve. Taste! Adjust for sugar, salt, flavour and spice. Return to the boil and pour into sterilised bottles. Store in the fridge.